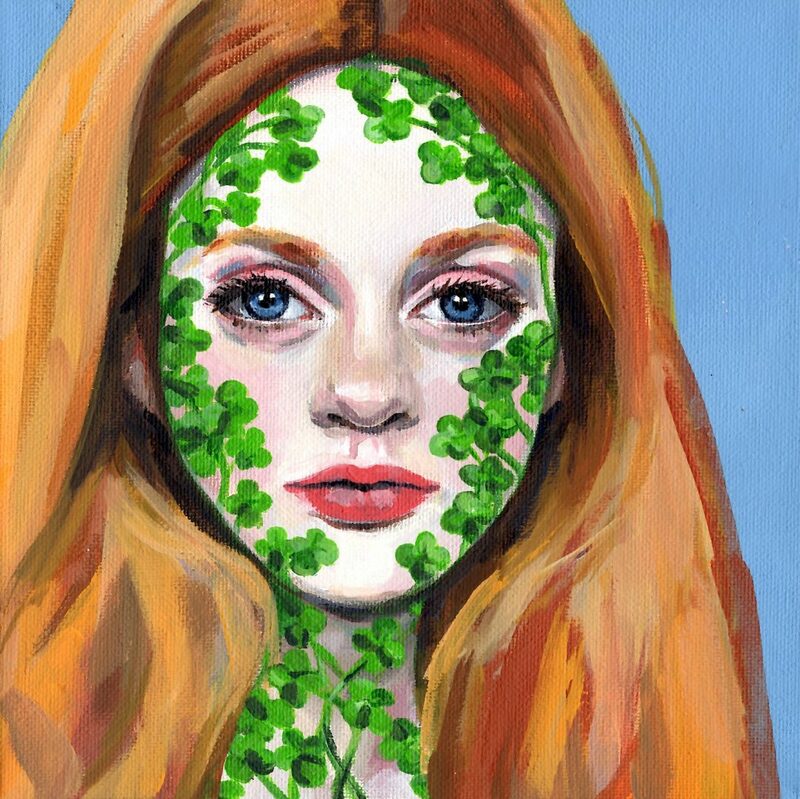 Clover is Lady Luck, the personification of chance, and brings good or bad fortune to our lives. She smiles a Mona Lisa smile, opportunity glitters in her eyes and only she decides whether the gamble will be won or lost. Exhibited with Thou Art Mum at the Melbourne International Flower and Garden Show, 27-31 March 2019.